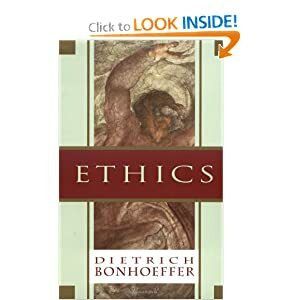 …Bonhoeffer found euthanasia in any form reprehensible, with the exception of cases in which a person of completely sound mind clearly expressed the wish to die. But, in order to avoid any chance of being misinterpreted, he treated this problem under the heading of suicide. Dietrich Bonhoeffer on Gratitude to God For the Ordinary! The theme for the Peacemaker Conference this September is “Life Together.” This title is drawn from Dietrich Bonheoffer’s classic book by the same title, which our staff studied together last year. Since studying it, God has given some of us major homework on this topic. Take last night for example. 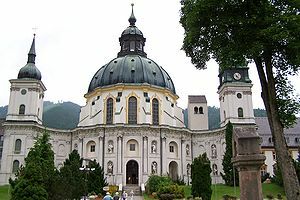 He (Bonhoeffer) was not completely unknown to his hosts (at the Ettal Abbey), as the abbot and some of the monks had read Life Together and wanted to discuss it with him. At mealtimes, silence was observed while a monk read aloud, during the Christmas season, the readings were from Discipleship. The Benedictines of Ettal were opposed to Nazism. One of them, Father Johannes, maintained a close contact with the conspirators. So Bonhoeffer would be in surroundings in which he would not have to become involved in conversations with people he did not know. Though he was good at finding his way quickly in changed situations, his new duties were unfamiliar and he needed some quiet in order to prepare for them. As for his theological work, there was no better place than the monastery, with its sizable library. At night he would not be disturbed by air raid sirens, and no would ask out of curiosity what a healthy man was doing out of uniform in Munich in the middle of a war. There were eventually some questions asked, even in the little town of Ettal, but the monks knew how to handle them. (Ferdinand Schlingensiepen, Dietrich Bonhoeffer 1906-1945: Martyr, Thinker, Man of Resistance, 252). As you have no doubt heard by now, Chuck Colson has gone home to be with the Lord. I urge you to keep the Colson family in your prayers during this difficult time. By the time you hear this there will have been no shortage of commentary—mostly appreciative about the life of this extraordinary man. Actually, “appreciative” is a huge understatement of what Chuck has meant to me, both personally and professionally. Like so many of you, I first encountered Chuck through books “Born Again” and “Loving God.” Classics, must reading. I’m not old enough to remember Chuck as a controversial political figure during Watergate, so I have always thought of him mainly as an inspiring Christian leader. But little did I imagine while reading his books that I would one day work with him. Needless to say I was a little in awe of him. It probably didn’t help that, initially at least, he wasn’t exactly effusive with his praise of my work. But that’s not the end of the story: over the years I saw Chuck mellow. He acknowledged this change in the epilogue to his daughter Emily’s beautiful book, “Dancing With Max.” He wrote movingly about how his autistic grandson helped him become more patient and more understanding of others. In short, it changed him. I benefited from that change. Over the past decade, Chuck went from being a demanding boss to being a mentor and a father figure, even a friend. He has been both supportive of my efforts and generous with his praise and his time. His last public appearance was the quintessential example. I remember after I introduced him at the Spiral of Silence conferences, he praised my Bonhoeffer biography and said that he regarded my work as part of his legacy. Knowing Chuck and “top of the Type-A scale” temperament made me treasure his praise all the more. If you believe in coincidences, which I did not, I just happened into the hotel lobby as Chuck was being taken out to the ambulance, I had the privilege of walking over and putting my hand on the shoulder of my friend, I cracked a small joke, to which Chuck smiled and replied “tell everyone at the conference that I’m sorry for having spoiled their evening.” That is classic Chuck Colson. Editor’s note: This piece originally appeared in Fox News Opinion on April 26, 2011. It has been slightly updated to reflect dates in 2012.On Sunday, April 8 billions of Christians around the world celebrated Easter. But yesterday, Friday, was a special day too. Did you forget? Friday — April 20th — was Hitler’s birthday! The Fuehrer would have been 123 years young! As I explain in my book “Bonhoeffer: Pastor, Martyr, Prophet, Spy,” during Hitler’s 12-year reign, people across Germany twisted themselves into veritable pretzels to praise the Fuhrer on his birthday! It was a day of national celebration. How things change. Today Hitler’s name is synonymous with evil. What a spectacular reversal of fortune. Hitler’s last birthday — his 56th — was already a grim harbinger of things to come. Ten days later he would commit suicide, so the mood in the bunker on his last “Geburtstag” was not exactly festive. He was a shattered man, hiding like a rat beneath the shattered city that was to have been the capital of his new Germany. His die-hard bunker-mates held a small celebration for him, but Herr Hitler had to be sedated before he could make an appearance. Can anyone dream up a more depressing birthday party? What’s the German word for “bummer”? Contrast Hitler’s bleak ending with that of another German of that era, Dietrich Bonhoeffer. BELLFLOWER, Calif., April 20, 2012 /Christian Newswire/ — April 20th is a day when not too many people celebrate the birth of Adolf Hitler–the man responsible for the horrific deaths of more than 11 million people. However, the creator of www.180movie.com and author of, Hitler, God, and the Bible is elated. Ray Comfort said, “It’s Hitler’s Birthday and we get the gifts!” Comfort’s controversial 33-minute movie opens with 14 people (mainly university students) revealing that they didn’t have a clue as to the identity of Adolf Hitler, and goes on to compare the Jewish holocaust to the legalized killing of more than 50 million Americans since Roe v Wade. Comfort said, “The movie is unique in that it shows eight people who are adamantly pro-abortion, changing their minds and becoming pro-life–in a matter of seconds, simply because they were asked one question. It’s a little over six months since the release date, and babies are now being born that have been saved by the movie. A woman was on Santa Monica pier back in October, was secretly pregnant, very distressed, and considering having an abortion. She was given a DVD, watched 180 in her car, burst into tears and decided to keep her child. The award-winning movie is nearing 3 million views on YouTube. WASHINGTON — Former Nixon aide Chuck Colson died Saturday at age 80. Colson, who was also an evangelical leader, author and non-profit founder, of Prison Fellowship International. Colson was speaking at a Colson Center conference when he was overcome by dizziness. 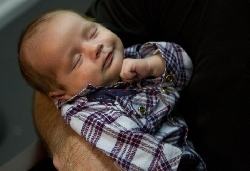 Quickly surrounded by friends and staff, Colson was sent to the Fairfax Inova Hospital in Fairfax, Virginia. On March 31, he underwent two hours of surgery to remove a pool of clotted blood on the surface of his brain. He died of complications from the surgery. Special counsel to President Richard Nixon, Colson was involved in the Watergate scandal which led to Nixon’s resignation. Known as Nixon’s “hatchet man,” Colson also served on the president’s re-election committee, CBS said, attempted to steal information from the Democratic Party headquarters in the Watergate. After pleading guilty to obstruction of justice, Colson served seven months of a one-to-three year prison sentence. But Colson became a born-again Christian before being sentenced, and after he was released, he founded the Prison Fellowship. The non-profit organization conducts outreach to prisoners to “through the power and truth of Jesus Christ”. The former prisoner wrote more than 30 books on religion and faith, and consistently advocated on behalf of conservative policies. President George W. Bush gave Colson the Presidential Citizens Medal in 2008. In recognition of his work among prisoners, Colson received the prestigious Templeton Prize for Progress in Religion in 1993, donating the $1 million prize to Prison Fellowship. The Colson family has requested that in lieu of flowers, donations be made to the Charles Colson Legacy Fund. Condolence cards may be sent to Prison Fellowship Ministries, 44180 Riverside Parkway, Lansdowne, VA 20176. CBS said Colson is survived by his wife Patty, three children and five grandchildren. Actually, my wife and I are in Nebraska City for the entire weekend for the Converge Heartland Annual Pastor’s Renewal Retreat. We are staying at the beautiful Lied Lodge and Conference Center. This is one of the highlights of the year for us!